Your heating and cooling system does more than provide you with a comfortable home environment, it helps to protect your plumbing too. Taking the heat from your furnace, you can prevent freezing pipes with these simple methods. Heat will escape through your garage. Make sure the doors stay closed whenever possible, especially if a supply line is located in there. This allows the heat from the furnace to circulate around your pipes. Make sure to remove access to any harmful substances, like cleaning chemicals, before using this option. If you have pipes that are exposed, then keep water running through them. 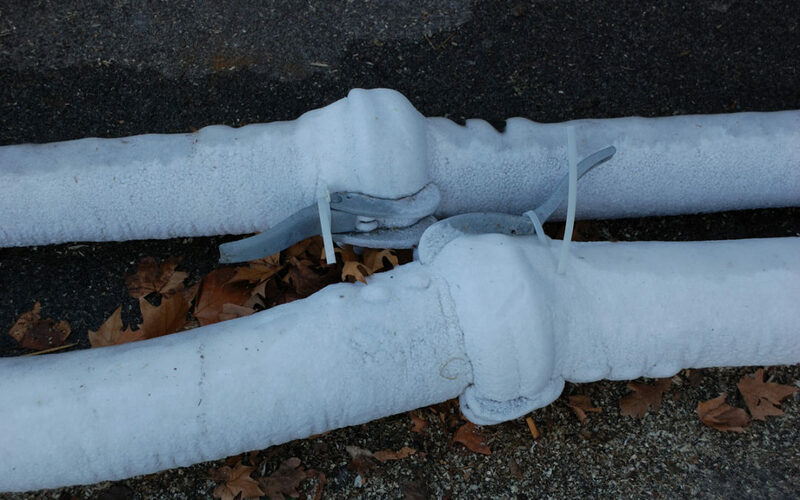 A slow drip really can prevent freezing pipes in cold weather. You can save a few bucks by throttling back the temperature in your home when you’re at work, but don’t do that in extremely cold weather. Sub-zero temperatures are not the time to save money on your heating needs. Keep your home temperatures constant for best results and don’t forget to install a smart thermostat to save money. Wrapping the pipes in your crawl space, basement, attic, or garage will help to keep them at higher temperatures. Consider adding insulation products around drafty windows and doors to maintain the heating from the furnace more effectively. If the pipes in your home have frozen or you are concerned about the status of your plumbing system this winter, contact a licensed plumber is your best option. Otherwise, you can use these options to prevent damage to your plumbing system during the next cold spell.